2. 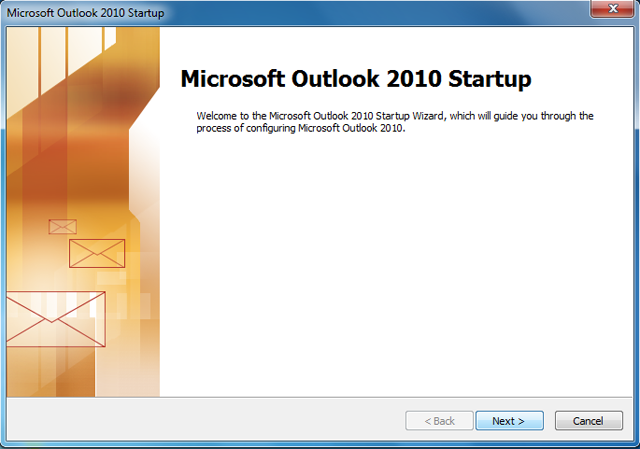 Outlook will display a pop-up welcome message. Carefully read through the information given and click the "Next" button. 3. 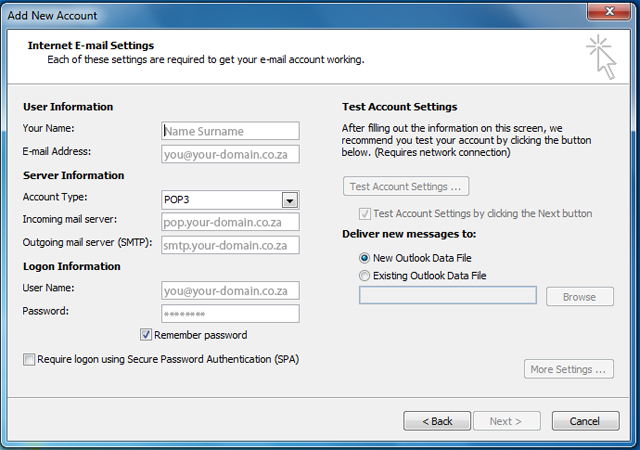 The next window will ask you if you want to create an E-mail account. 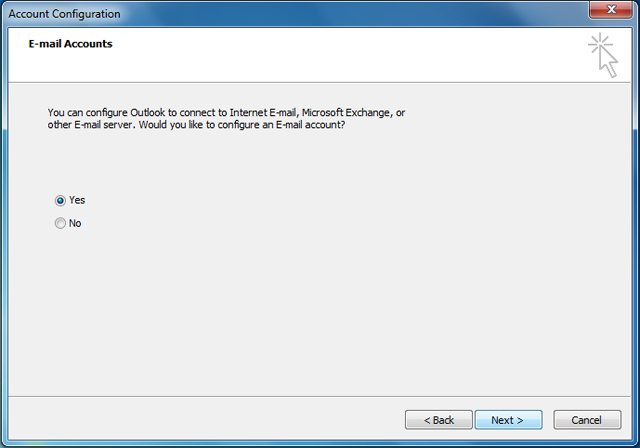 Select "Yes" and click the "Next" button. 4. 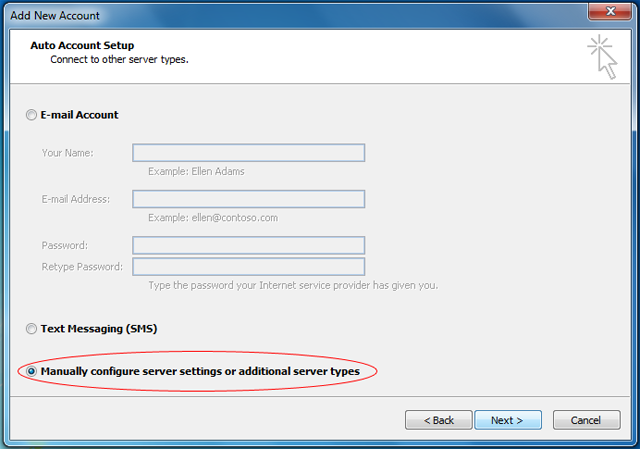 In the next window select "Manually configure server settings of additional server types" then click the "Next" button. 5. 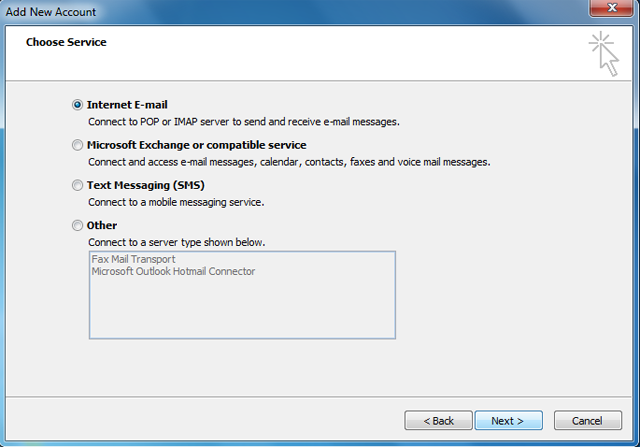 Select "Internet E-mail" and then click the "Next" button. 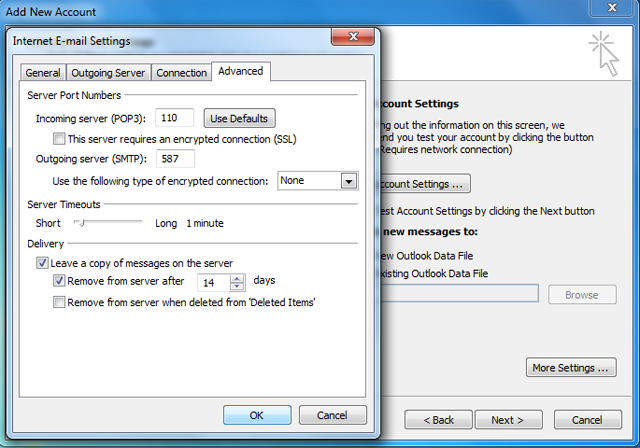 (Select POP3 as the Account type) then click the "More settings" button. 7. 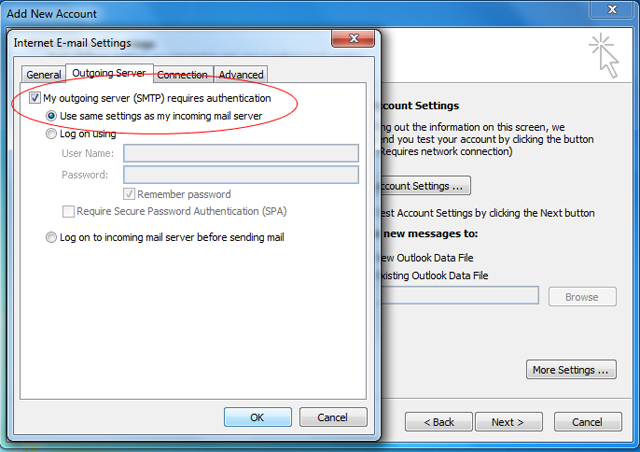 Click on the "Outgoing Server" tab and ensure that the "My outgoing server (SMTP) requires authentication" checkbox is selected, as well as "Use same settings as my incoming mail server." then click the "OK" button. Then click the "next" button once more. 9. 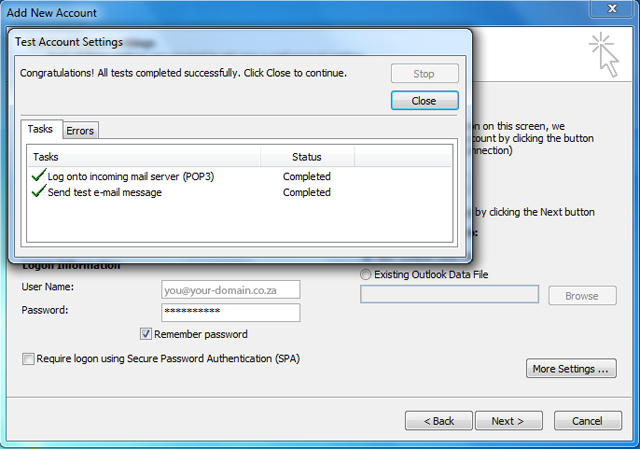 Outlook will perform an automated test to test your mails. Once its completed click the "Close" button. 10. 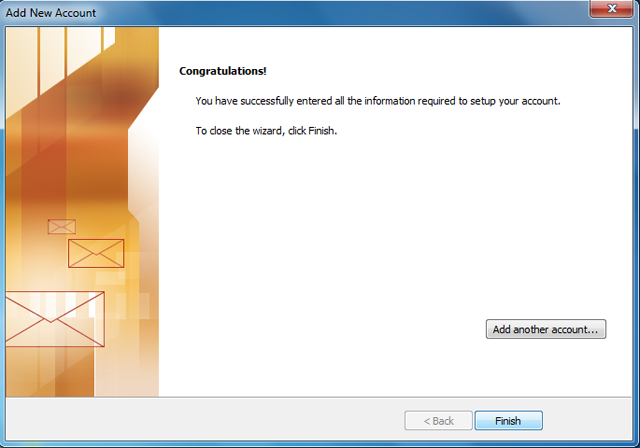 You should now see a page congratulating you on setting up your E-mail. Read through it and then click the "Finish" button. 11. 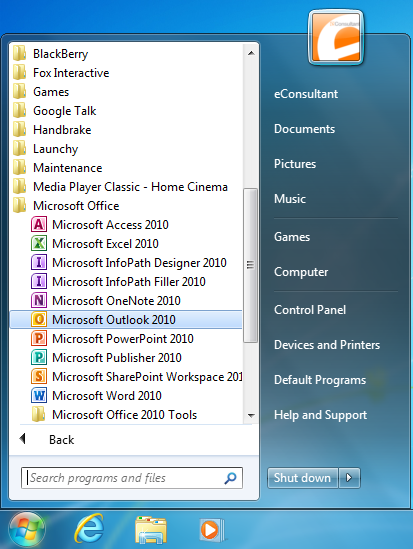 Microsoft Outlook 2010 will open and your E-mails will come through shortly.